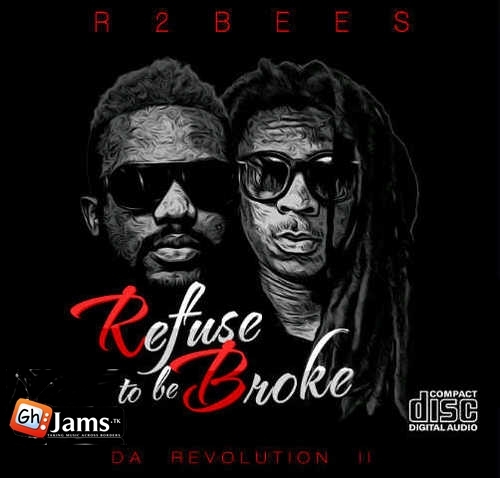 R2Bees, one of the most valuable, versatile and wealthy players in the Ghana Music Industry is releasing their second studio Album on the 29th of March. The Revolution 2, now REFUSE TO BE BROKE has being long awaited and can boast of four Hit singles all of different genres including the controversial AJEEI. ODO a Highlife song was the first song to be released in 2012 followed by LIFE an Afropop song and the Street Anthem BAYLA TRAP ft Africa's fastest rapper Sarkodie. We should all keep our fingers crossed and patiently wait to get copies of this Super Album.